An Independent Contractor is a person in business who provides services to another person or a business, but is not an employee of the business firm. The independent contractor may also be called a freelancer. Independent contractors can be consultants, agents, professionals or technical staff. When a business-oriented person or firm provides services to other individuals or companies, this is called a contractor business. It can be a short-term contract between the two parties or this contractor business can be made on longer terms, growing and long-lasting. The contracting entity is called a contractor. Contractor businesses are a necessity, not only in the economy, but also to many offices and homes. Building a contractor business is a great career opportunity. It is important to establish a formal business unit that will grow your business before getting clients. With a firm plan in place, you will be able to focus on providing services, not covered up with concerning legal issues. There should be a well-managed system in place for managing business operations, bookkeeping and all business activities. If there is no effective system in place, then important tasks can be overlooked. If there is a well-established system, you can focus on growing your contractor business. Once the business is established, start working on internal assessments. Carry out regular business operations. Carry out, from internal business assessment programs to reaching out to customers and knowing their satisfaction levels about your business. Work on getting a high rating for your business. Social media websites and tools are an easy way to assess customers’ expectations and demands. Surveys can be conducted to know the rating of your business. It’s also a great way to market your services. Take the time to talk to your employees as well as customers. A proper liaison ensures better outcomes in the long run. Always respond to your customers. Take time to response, if needed, but make sure to respond as much as possible. Responding doesn’t have to mean being on the phone all day. There can be various other ways such as complaint boxes, email accounts, social media activities, and personal meetings with the clients. Clients that give a huge margin must be dealt with personally to ensure their satisfaction with your services. Treat them well and they will keep coming back for more of your services. Promote your services with marketing techniques. It does attract more and new customers. However, it also attracts and sustains your current customers. Facebook is an easy and inexpensive way to reach customers by creating a registered Facebook page. Facebook is used by billions of people around the world. Using the tools on Facebook can allow your marketing post to reach millions. Attract more financing. Business financing can be found through personal funding, debts, investors and other options. As an entrepreneur, it is your duty to decide which option is best for you. New entrepreneurs always need assistance throughout their year-round business operations. Take advice and study their pros and cons. Sometimes you will need to hire a consultant on such matters such as bookkeeping. Hire people who are capable and interested in your contractor business. Keep a close eye on your business bookkeeping. Your finances must never get out of hand. Expenses must be supervised and rationalized. Even though you are a contractor business, you should be audit-ready which means an up to date accounting system. Outsource the business. Make contracts with other firms to grow your business. For example, contract with another accounting firm for all of your accounting and tax filing. Always know the actual costs of your services and make your profits accordingly. Prices that are too high can make your customers turn away and prices that are too low will make the business go into a loss. The prices must be profit yielding but services must be according to customer’s demands. A contractor business is a great opportunity, not only for the individual entrepreneur, but also for the economy as a whole. Entrepreneurs/large corporations continually take advantage of contractor businesses as their needs expand. For running a growing and long lasting contractor business, entrepreneurs must be aware of the best business practices. 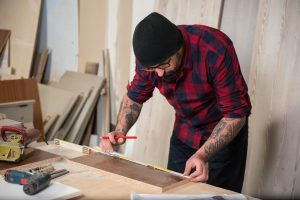 You can adopt strategies to keep growing your contractor business and ensure that it will take you well into the future.